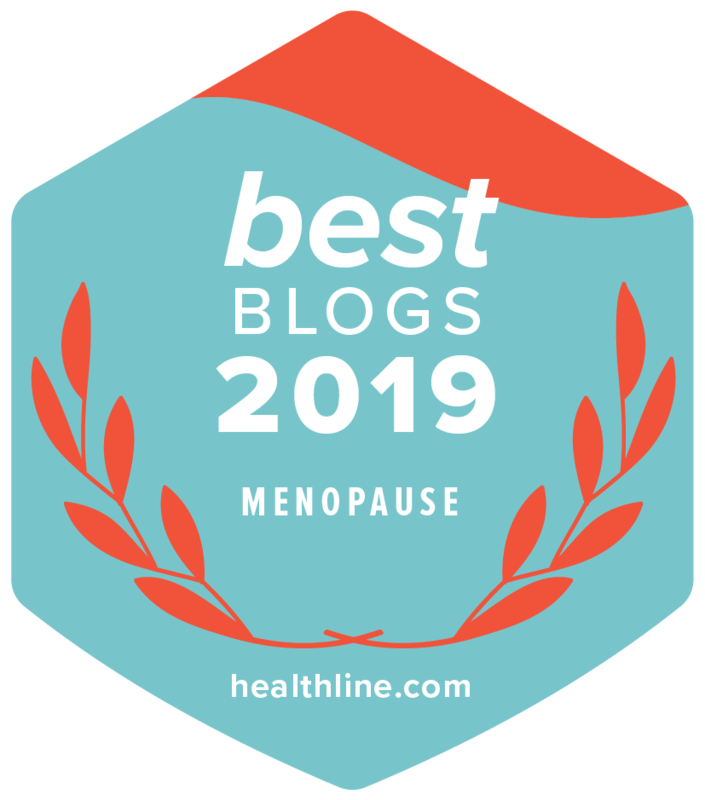 Menopause bloating is a common symptom of menopause closely related to an increase in water retention and/or intestinal gas – caused by fluctuating hormones. Most frequently experienced by women between 45-55 in the transitional stage (perimenopause) leading to actual menopause. This was raised time and time again by my interviewees, many stating that they appeared more bloated as the day went along and felt fuller. Why Do Women Experience Bloating? Prior to perimenopause and menopause, when a woman is about to have her menstrual period, her estrogen levels rise which causes her to retain more water resulting in bloating. When we reach perimenopause our estrogen levels begin to become erratic which causes water retention and bloating to become more regular. First thing in the morning your stomach may feel and look flatter but within a few hours you may start to feel uncomfortable and heavier with feelings of fullness and tightness in your abdominal area. You may feel the need to undo a button or loosen a zip. You may have an increase in burping or flatulence. During menopause, lower estrogen levels result in decreased levels of bile, a substance which keeps the intestines lubricated. In the absence of bile, hard, dry stools accumulate in the small intestine which can lead to us feeling constipated and bloated. Menopause bloating can also mean “gas”. This is due to hormonal fluctuations too. If you add gas to the decrease in bile and water retention a bloating stomach is to be expected. Bloating is a possible side effect of HRT along with other side effects such as mood changes, breast tenderness, headaches, bleeding and fluctuating weight. As women enter into perimenopause they can begin to gain weight. It is possible to gain an average of one pound per year until you reach menopause. Women who have had a hysterectomy can gain weight more quickly. Menopause weight gain is due to the male hormone, androgen. The weight gain usually finds it way to the abdomen causing “menopause belly” or “middle age spread”, which intensifies the feeling of bloating. When your estrogen levels fall your body searches for new sources of estrogen. One source is our fat cells. Your body converts calories into fat to increase estrogen production. This leads to estrogen over correcting itself and as such weight gain, insulin resistance and bloating occur. Quit smoking – smoking decreases the level of estrogen that the body produces. Quitting will help to alleviate weight gain and bloating. Avoid crash diets – as soon as you reintroduce carbohydrates to your diet you will gain water weight. Eat 5 small meals a day – to keep your metabolism from slowing down. You will be less hungry and it will help you to lose menopause related weight gain. Carbohydrates – eat only whole grain carbohydrates i.e. whole grain pasta, whole wheat bread and brown rice. All will help to avoid bloating. Salt – reduce your daily intake of salt by avoiding processed or convenience foods. Do not add extra salt to your food. Avoid/reduce intake of ‘Gassy’ foods – i.e. broccoli, cauliflower, soft cheese, oats, onions, potatoes, pears, legumes, cabbage, Brussels sprouts, beans, peas, carbonated drinks. Eat foods that reduce gas – i.e. peanut butter, grapes, bananas, eggs, fruit juices, yogurt, hard cheese, watercress, cucumber, watermelon. Drink water – at least 6/8 glass each day to flush out excess water and toxins. Not drinking enough water can cause bloating. Drinking a large glass of water can quickly relieve gas pain. Herbal tea – such as ginger can help to relieve menopause bloating. Although green tea contains caffeine it is a powerful diuretic so it can help to relieve bloating from excess fluid retention. Some green teas contain more caffeine than others with tea bags containing the most. Generally avoid black tea or those that contain caffeine. Avoid excessive consumption of caffeine and alcohol – both can be a cause of bloating. Bicarbonate of Soda (baking soda) – neutralizes stomach acid and produces carbon dioxide which will encourage you to burp and offer relief. Expel gas – the best remedy for menopause bloating or gas pain is to expel the gas from either end. You can assist by massaging your stomach, taking a quick paced walk or if they both fail by lying on your back and bringing your knees up to your chest. Avoid swallowing air – this happens which you smoke, chew gum or talk and eat at the same time. Stress can also be a factor as people are more likely to swallow air when experiencing stress. Mints and herbs – peppermint, spearmint and fennel all help to relieve gas pain. Hot pepper and black pepper – cayenne pepper and black pepper are both a natural cure for gas and bloating. Try adding a dash of cayenne pepper to a drink or using black pepper as your seasoning on food. Add a pinch of black pepper to herbal tea. Exercise – daily exercise i.e. walking, cycling, jogging, swimming help you to control your weight and cause you to perspire which allows the salts that cause bloating to leave your body. Resistance exercises will also help to build calorie-burning muscle that can help to reduce abdominal fat. Over the counter medications – there are an abundance of these on the market. Speak to the pharmacist about your particular concerns. Yoga poses – sit-ups and stretches may help to move gas around and out of the body. If your menopause bloating worsens or is prolonged you need to consult your healthcare professional. Constant bloating after meals can be related to several medical conditions:- ulcers, Crohn’s Disease, colitis, acid reflux. Hutchinson, S, M.D. (Nov 2007) The stages of a woman’s life: Menstruation, Pregnancy, Nursing, Perimenopause, Menopause.